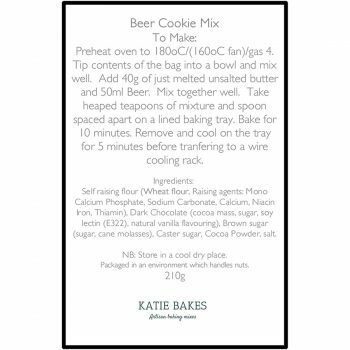 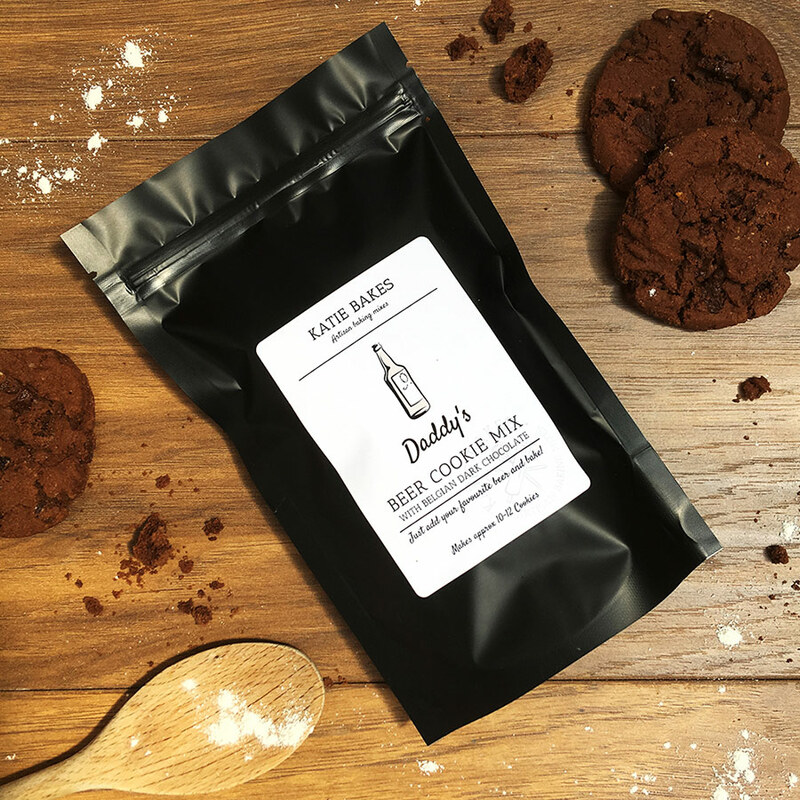 The perfect gift for anyone who loves beer and cookies, our personalised “bake at home” cookie mix creates deliciously rich chocolate cookies using your favourite beer. 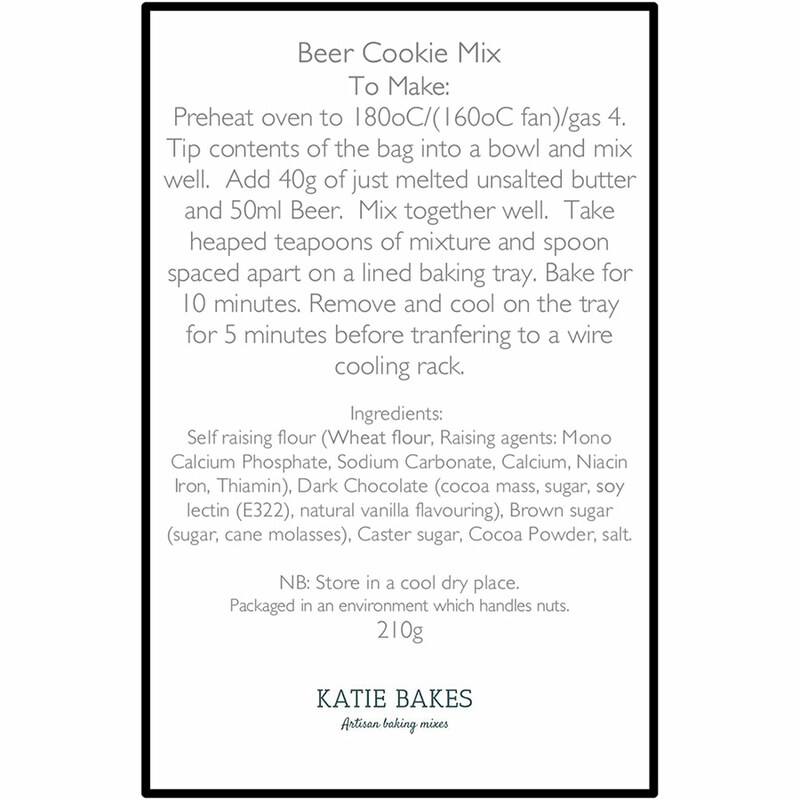 Just add beer and a little melted butter to the foolproof cookie mix which will make approx. 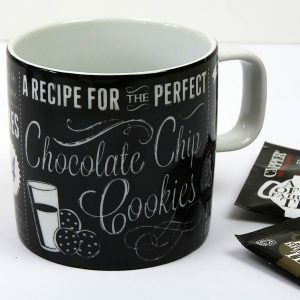 10-12 delicious rich dark chocolate chip cookies. 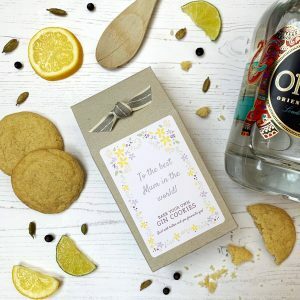 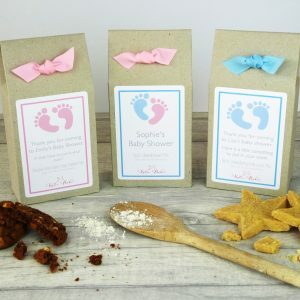 Packaged in a pouch with a personalised label, the cookie mix makes a great Father’s Day gift. 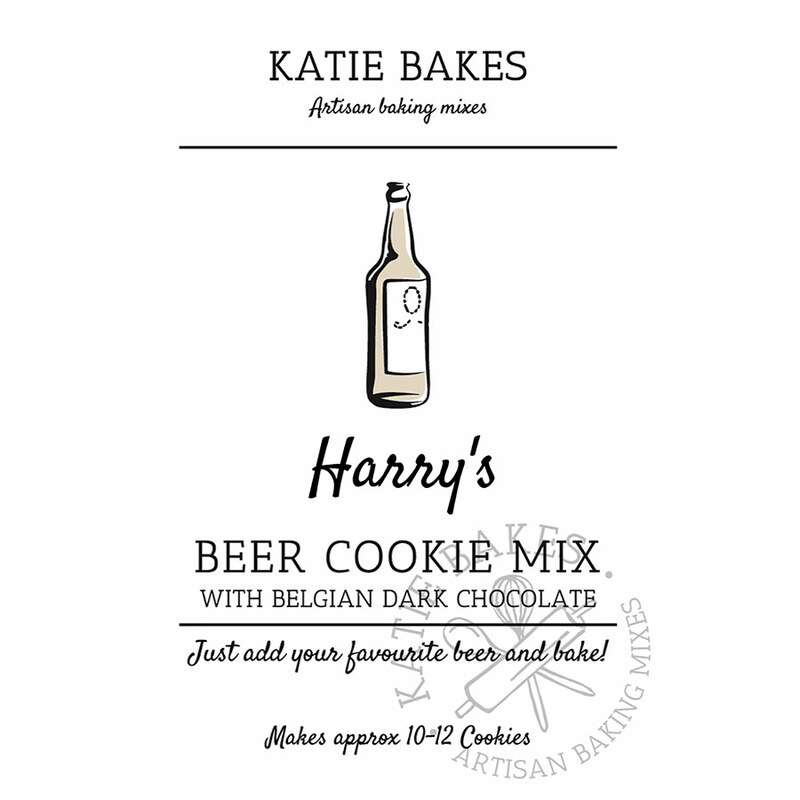 Just provide a name for us to add to the label. 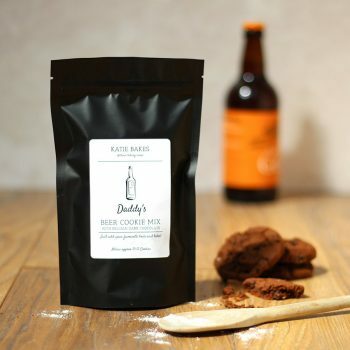 Self raising flour (Wheat flour, Raising agents: Mono Calcium Phosphate, Sodium Carbonate, Calcium, Niacin Iron, Thiamin), Dark Chocolate (cocoa mass, sugar, soy lectin (E322), natural vanilla flavouring), Brown sugar (sugar, cane molasses), Caster sugar, Cocoa Powder, salt. 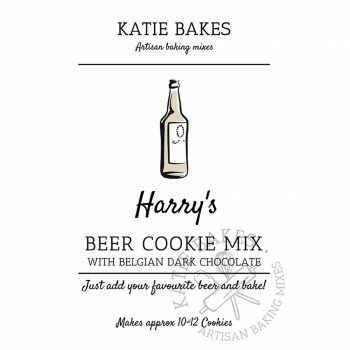 All our mixes are made with the finest quality ingredients and contain Belgian chocolate and no artificial colours or flavourings.